Friedrich Kuhlau, a German-Danish pianist and composer of the late Classic and Romantic eras, wrote several compositions for flute. 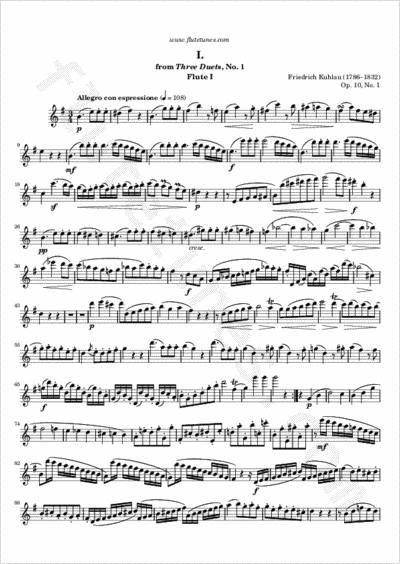 The piece we propose today, a fast G-major Allegro in triple time, is the first movement of one of the many flute duets he composed. Thanks to Kate and George for suggesting this work!